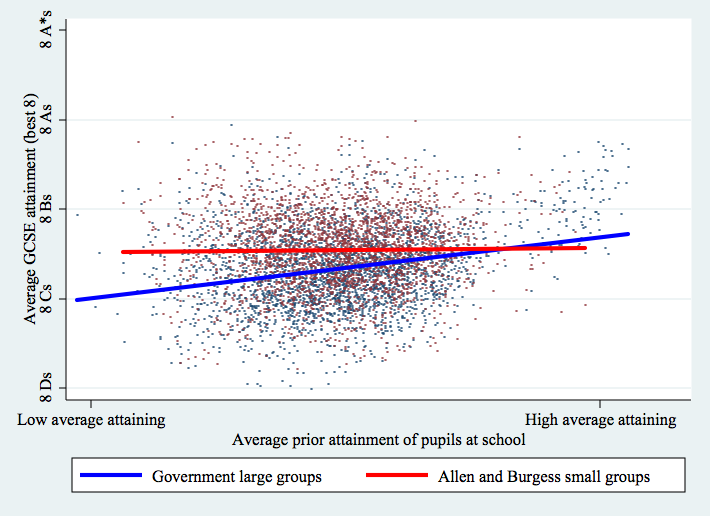 Schools-datajournogenius Christopher Cook of the FT wrote a nice blog post this week showing how forcing academy conversion for low performing schools probably wouldn’t do much to fix social inequalities in educational achievement. I agree. But I want to show some (quick and dirty) data to help keep alive the dreams of school reformers. 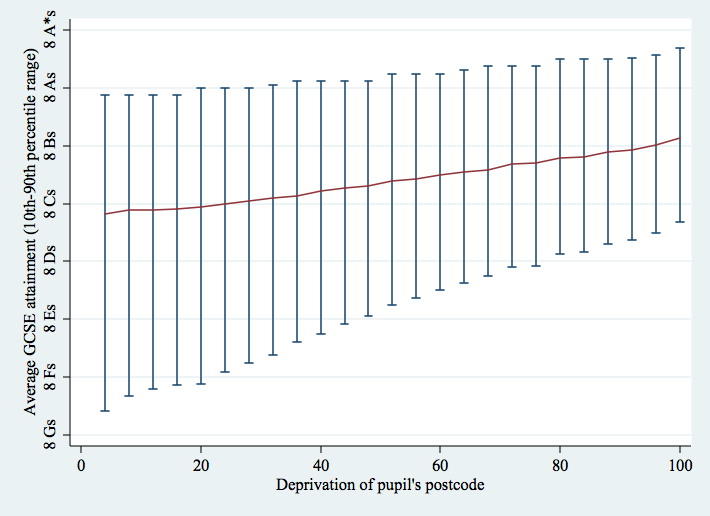 This data refutes his suggestion that poor children do badly in the majority of England’s schools. 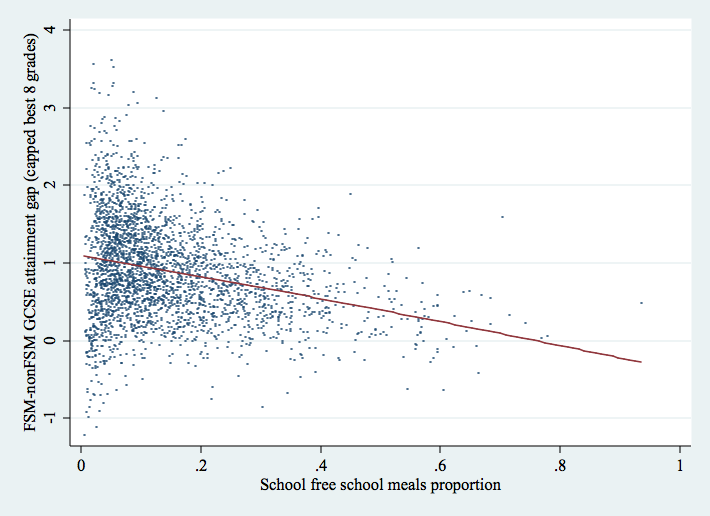 Which schools make a difference to poor children’s lives? 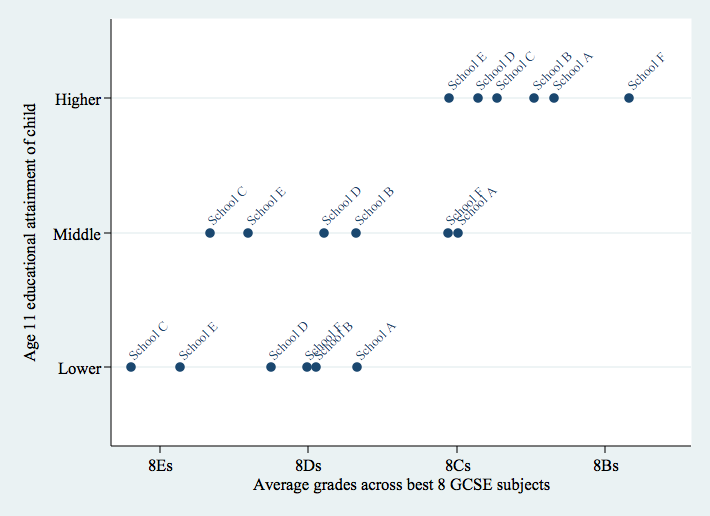 Well, Chris Cook shows it isn’t the schools in the top half of the national league tables on the % 5+ A*-C measure. But why should they? 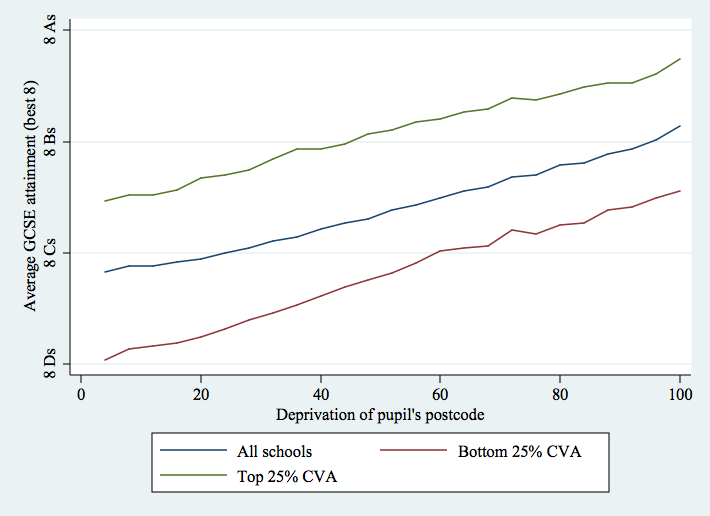 These schools aren’t necessarily ‘good’ schools, they are just relatively affluent schools. I’ve opened up my dataset to look a little harder for some high quality schools. 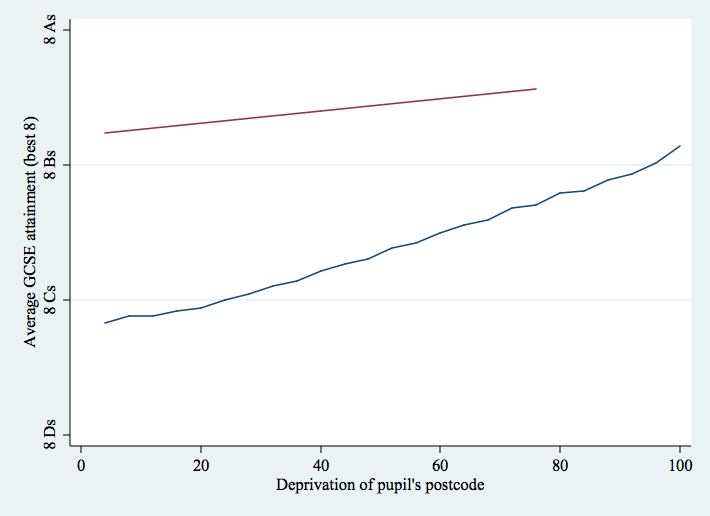 So, while I agree with Chris Cook that within-school variation in attainment remains a huge problem and that education policy can never fix all of society’s problems, I want to give a ray of hope to the policy makers, headteacher and teachers who work in education because they believe they can transform lives. It’s not all hopeless (although it also isn’t easy). 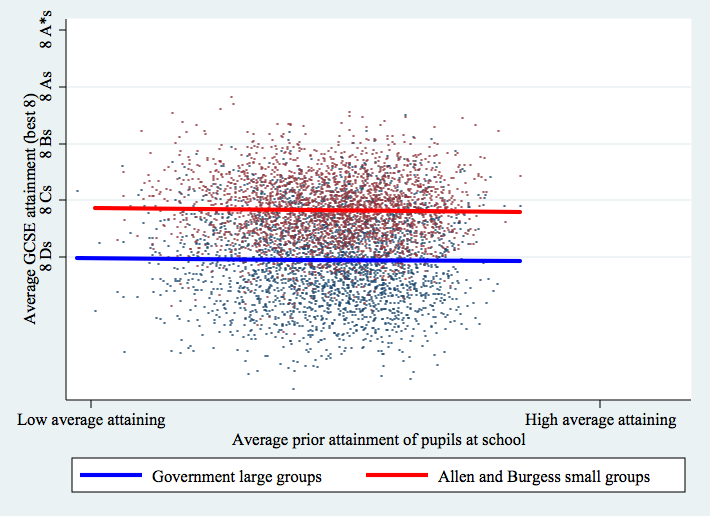 There are schools where pupil achievement isn’t entirely dependent on social background. 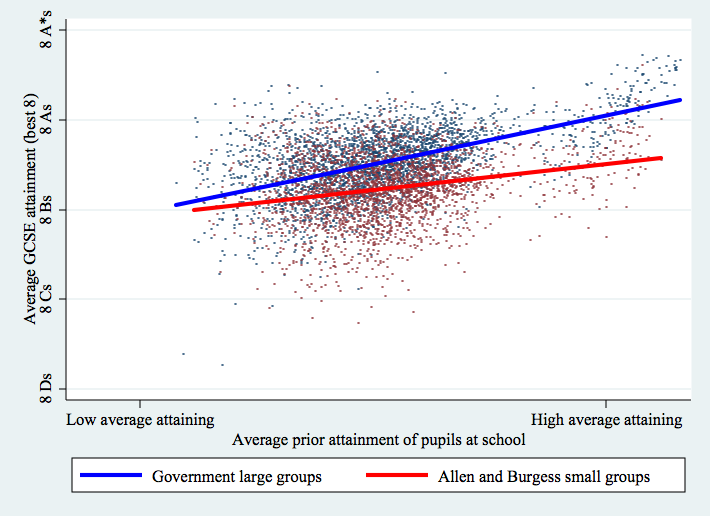 We can’t close the social class attainment gap, but the best schools do help make it much smaller. Tomorrow the new school league tables are published, with the usual blitz of interest in the rise and fall of individual schools. The arguments for and against the publication of these tables are now so familiar as to excite little interest. But this year there is a significant change in the content of the tables. For the first time, GCSE results for each school will be reported for groups of pupils within the school, groups defined by their Keystage 2 (KS2) scores. Specifically, for each school the tables will report the percentage of pupils attaining at least 5 A* – C grades (including English and maths) separately for low-attaining pupils, high attaining pupils and a middle group. This change has potentially far-reaching implications, which we describe below.